MTV is bringing a reality show ‘Troll Police’ that addresses the issue of cyberbullying and makes trolls accountable for their online behavior. Taking on internet trolls while educating the youth and creating awareness will be the youth icon, Rannvijay Singh.The show, which will air will air every Saturday at 7 pm starting 13 January 2017. Tum ladki ho na, social media pe mat jaana! Because you know what's in store? "Casting couch pe ouch karne vaali Taapse", "looking like a bhootni!" But Taapsee Pannu is not someone to let these trolls off the hook so easily. Watch her come face to face with her troll and teach him a lesson he won't ever forget on #MTVTrollPolice, on 13 January at 7 PM! It will comprises of expert investigators and a cyber-team which will trace the trolls of some of the biggest celebrities of Bollywood and the faces behind it. 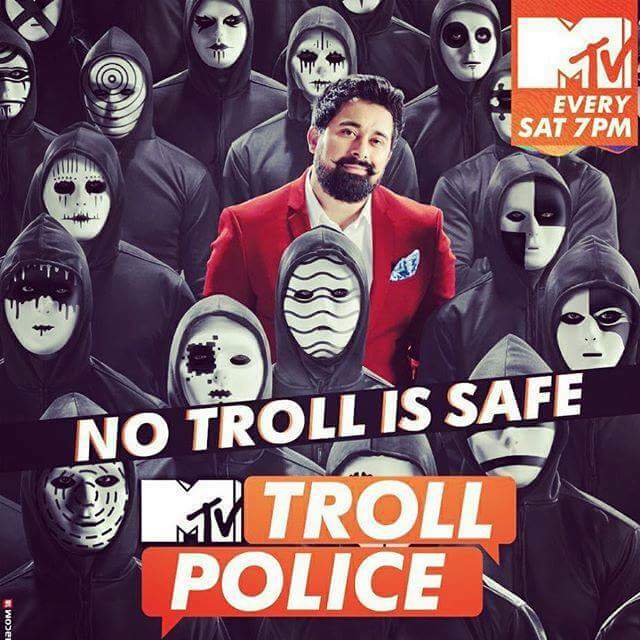 Each episode of ‘Troll Police’ will feature a Bollywood celebrity who will track down their trolls with the help of host Rannvijay, an investigator, and the cyber-team. There will be three levels to the show. First, a social engineer, private investigator, and the cyber-team will devise customized traps for the troll. This will be followed by an on-ground activation which will enable the team to figure the whereabouts of the troll. Lastly, there would be a confrontation where the celebrity and his/her troll will come face-to-face. As a part of the show and to create awareness, MTV has taken the issue of trolling a notch higher for the common man by creating a platform wherein one can report trolls in a jiffy. All one needs to do is report the troll by following @MTVIndia on Twitter, tweet #TrollPoliceHelpline, share your details via a form sent to you by MTV through direct message and deal with your trolls like a boss. The show will feature the bold and beautiful actresses of Bollywood, Neha Dhupia and Tapsee Pannu who are known to handle trolls like a boss, and British Indian rapper, Hard Kaur, to name a few.